I’ve written cartoon-related list posts about other sports, plus the Super Bowl, but not football in general. Nowadays, football’s the most popular sport in the United States. So, to round out the “Big 4” American sports, here’s a list of football references in cartoons. “Homer Loves Flanders” from the fifth season features a football game (dubbed the “Pigskin Classic”) between the Springfield Atoms and the Shelbyville Sharks. The two teams, like the two cities, have an intense rivalry. The third season episode “When Flanders Failed” shows Homer watching the Canadian Football League (CFL) draft on TV. 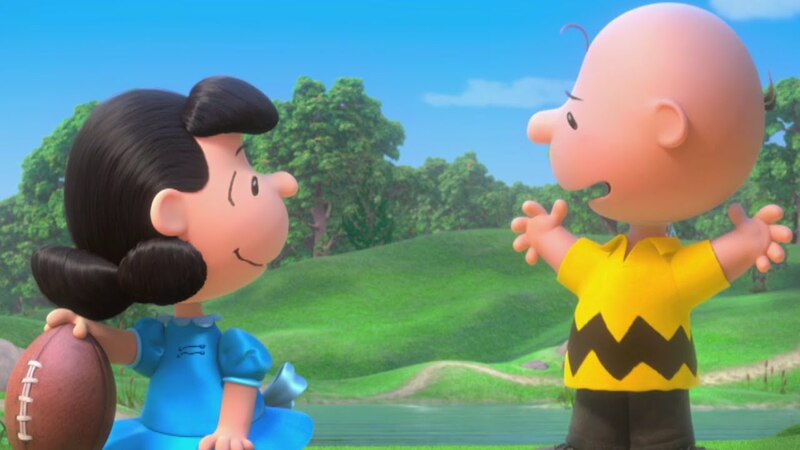 “Peanuts” is famous for its long-running gag of Lucy tricking Charlie Brown into kicking a football, but always pulling it away from him at the last minute. A typical example’s found in the Thanksgiving animated special. The segment in question’s on “Peanuts”‘s official YouTube channel. One of Lois Lane and Clark Kent’s coworkers is Steve Lombard. Introduced in “Superman” #264 (June 1973), Steve was a former star quarterback for the Metropolis Meteors football team, hired by WGBS as its new sports anchor. Lois and Clark dislike Steve for his boorish, egotistical personality. Steve would also often try to play pranks on Clark. However, Clark would secretly use his super-powers to make said pranks backfire. Modern comics reintroduced Steve as a “Daily Planet” sports columnist, though with his large ego still intact. See my previous post about this football-related 1970 Hanna-Barbera cartoon. The storyline “Wossamotta U” sees Bullwinkle recruited by Wossamotta University to play for their abysmal football team. Thanks to Bullwinkle’s “mighty moose muscle,” the team goes on an unbroken winning streak. This draws the attention of Boris and Natasha, as well as their Pottsylvania superior Fearless Leader. The villains create their own team of thugs to go against Wossamotta’s, figuring they’ll win—and can bet on the outcome of the game. Peter also tries to play catch with Jason. However, Jason usually either isn’t very good or nitpicks aspects of the game. One strip had Jason insisting on using meters instead of yards. Peter also often tries out for his school’s football team, but usually gets benched or only serves as the coach’s assistant. Next Post:7 blogging mistakes to avoid; how does my blog match up?